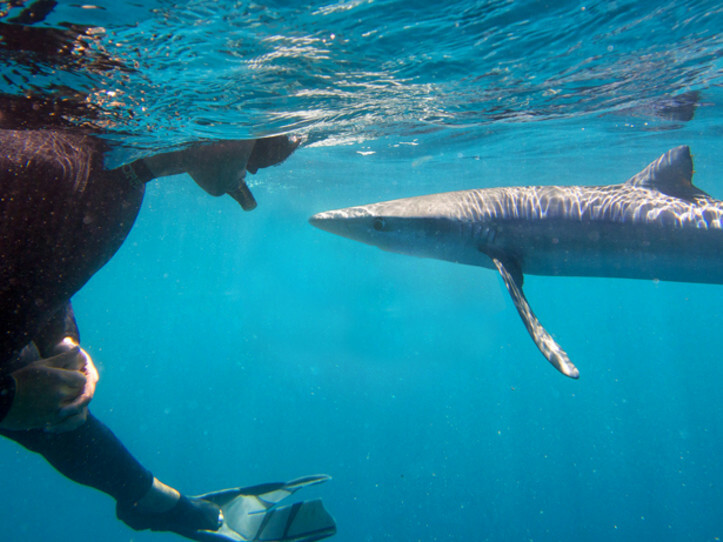 Experience the thrill of a cage-less encounter with Pelagic Sharks. We provide a professional, controlled environment with these sleek open ocean sharks. 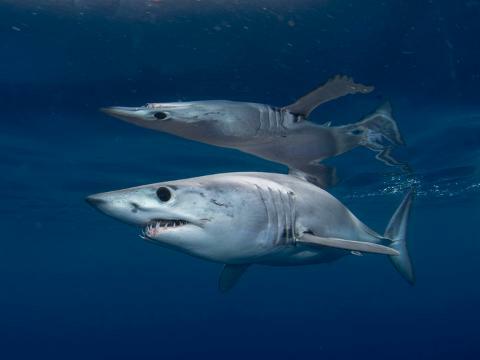 For Blue Shark diving, San Diego is one of only 5 places on the planet that offers this experience. If you’re ready to truly do something different come out with the SDE team and join us for our Blue and Mako Shark Expedition. 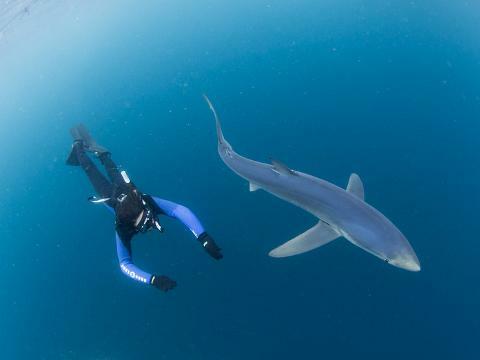 Whether it's your first interaction with a shark or you're a professional diver, you will leave with the new appreciation of these beautiful animals. We hope to encourage and spread shark advocacy by changing the general public opinion of sharks. We can do our part in facilitating their comeback by drawing awareness to these awesome animals. Ask us about citizen scientist programs when your on the boat with us. SD Expeditions uses all means necessary to provide you with a successful encounter. We are constantly monitoring weather conditions and keeping in touch with boat captains and marine experts to remain informed about current shark diving conditions. While chartering off shore, we don't hesitate to take advantage of opportunities presented to us. The ocean is full of a diversity of marine life – and we won’t limit any experience. If you’re interested, we’ll gladly stop for Common and Bottlenose Dolphins, Sea Lions and Harbor Seals, or the famous Mola Mola (ocean sunfish). We want you to experience the ocean in all it’s glory, and we’ll hold nothing back. 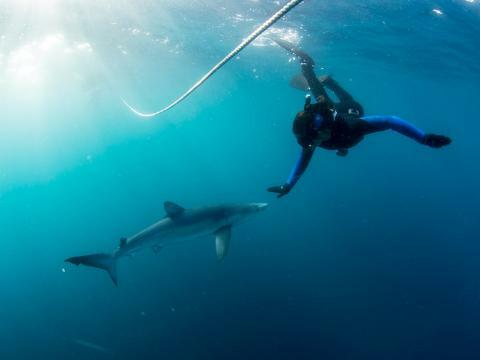 So join SD Expeditions for a unique and different encounter, and experience the thrill of open ocean shark diving.